NFL 2018 Season TV Coverage: This will be the fifth year in the current broadcasting rights deal where ESPN, CBS, Fox, and NBC will share the rights in US. CBS and Fox will have Sunday afternoon games followed by NBC Sunday night football. ESPN will have Monday night football and Pro Bowl and CBS will broadcast 2019 Super Bowl in the US. SkySports has the majority of the rights in UK as they will be showing all Nationally Televised Games in the UK. While BBC also have rights to weekly highlights, London games and the Super Bowl. NFL 2018 Schedule: NFL pre-season begins with the 2nd August 2018 game between Baltimore Ravens vs Chicago Bears. However the Regular season begins on 6th September 2018 and there will be 17-week schedule concluding on 30th Decemeber 2018 where each team will play 16 matches in the regular season. The post season (Playoffs) will be starting 05 January 2018 while the Super Bowl takes place on Sunday, 03 January 2018. NFL provide the extensive coverage in the US both on TV and through official website/apps of (CBS, NBC, FOX and ESPN). 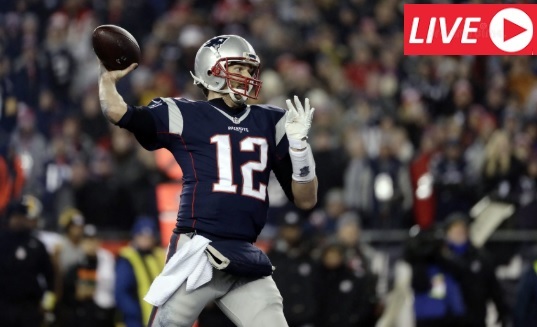 However if you are abroad than its even more easier to get the live action as you can just buy NFL online pass through their official site and see every game live online. This is true for most countries however, in United Kingom for example SkySports have the exclusive rights and they will be showing majority of the matches live. Similar majority of the European countries have NFL rights but almost all of them are on paid networks. So there is no such thing as free live streams of NFL anywhere in the world really. Apart from those crappy free live streaming sites which have live coverage of NFL matches. We will be placing links to external sites which will show live action of some of the most popular team matches every week. So bookmark this page and visit like 30 minutes before the kickoff to get live action of a particular game.